Mars is a small rocky body that was once thought to be very Earth-like. 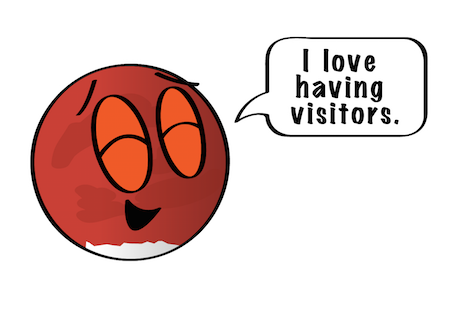 Like the other terrestrial planets - Mercury, Venus, and Earth - its surface has been changed by volcanism, impacts from other bodies, movements of its crust, and atmospheric effects such as dust storms. It has polar ice caps that grow and recede with the change of seasons; areas of layered soils near the Martian poles suggest that the planet's climate has changed more than once, perhaps caused by a regular change in the planet's orbit. 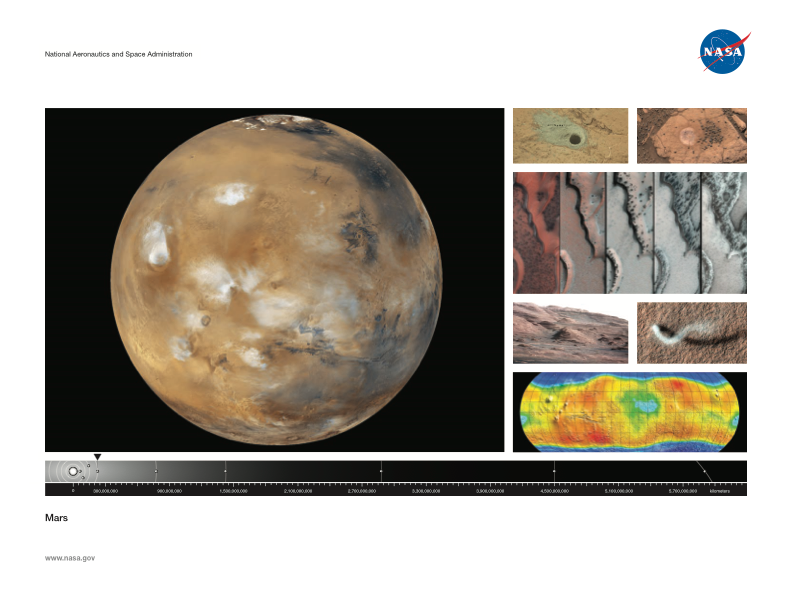 Click on the image below to download the Mars lithograph and learn more about this planet. Did you know that BrainPop has a FREE Mars Movie? It's true! You don't need a subscription to watch this particular movie. However, you may want to get a subscription because they have 35 Space Movies. After watching each movie, you can take an online quiz. Click on the image above to view the free Mars Movie.